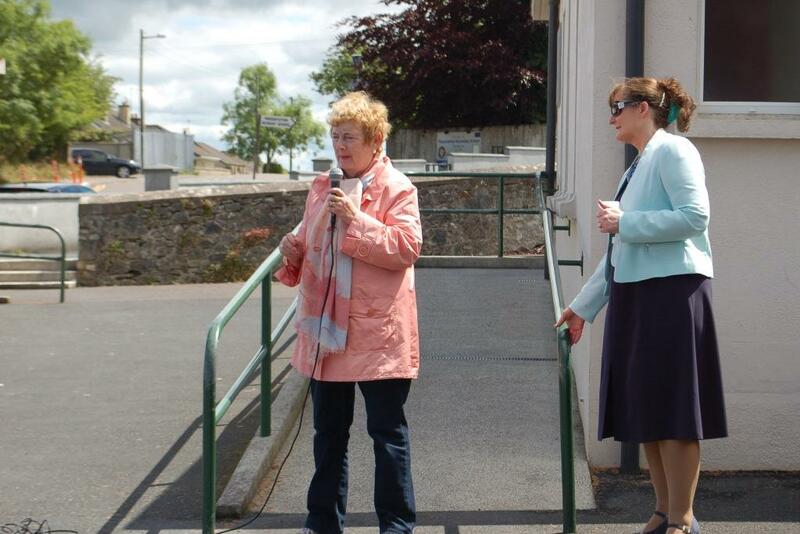 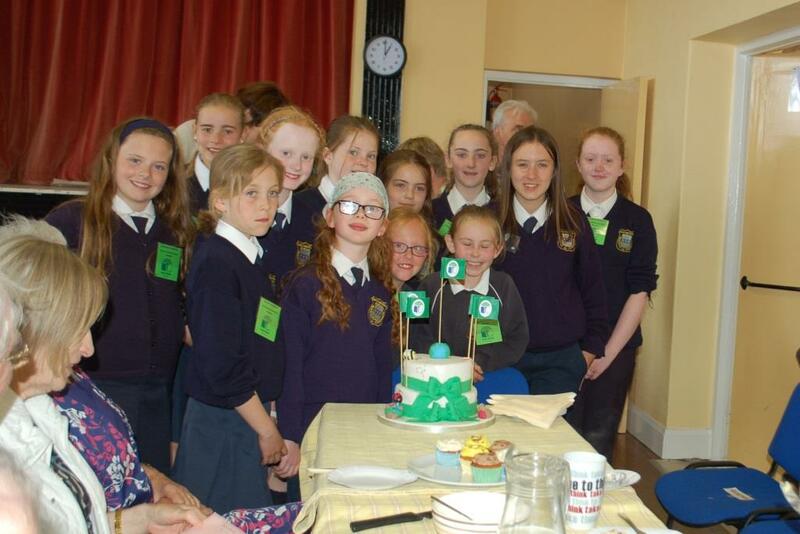 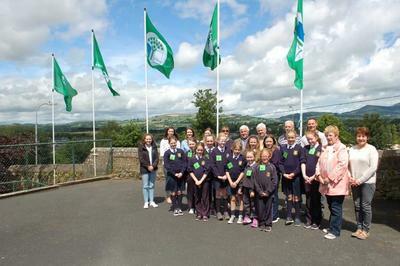 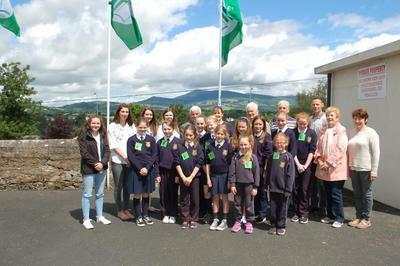 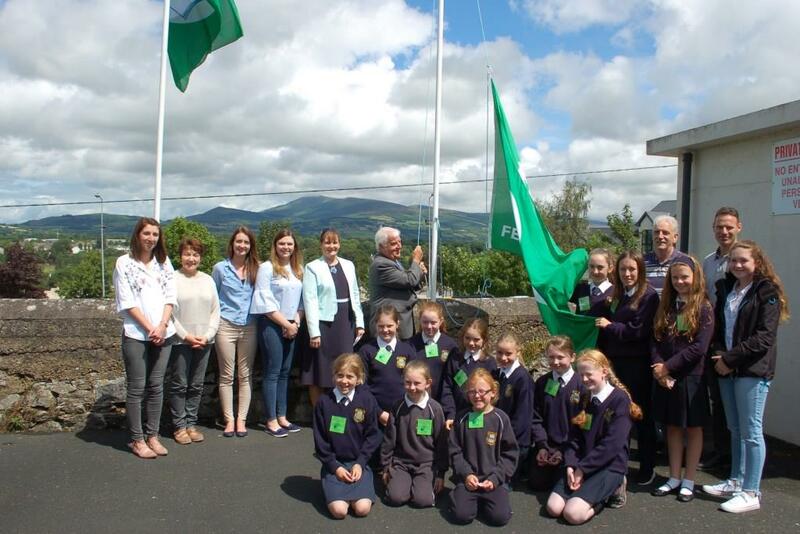 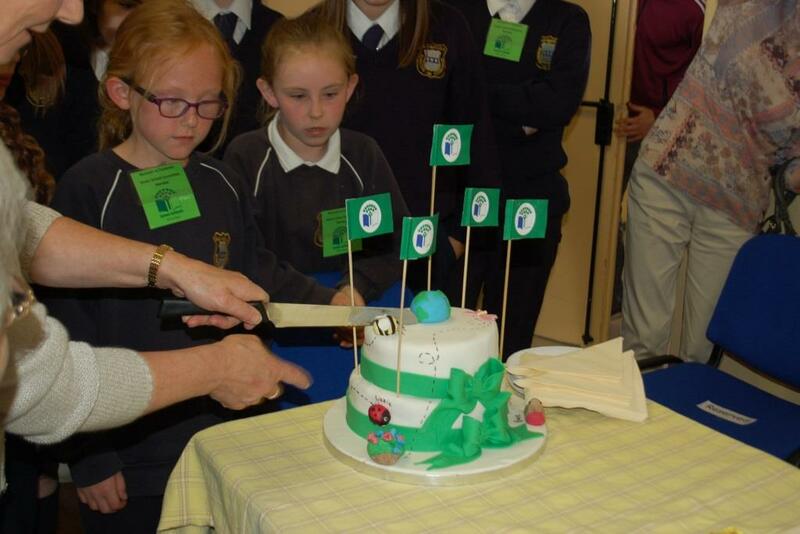 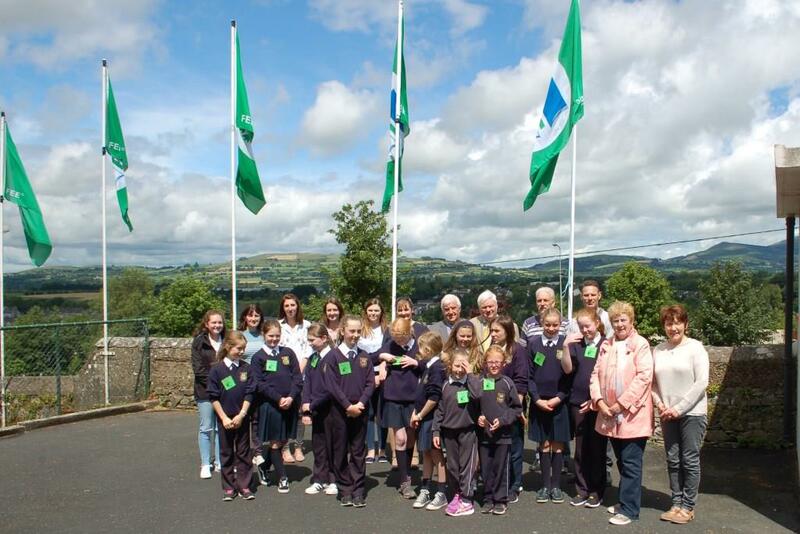 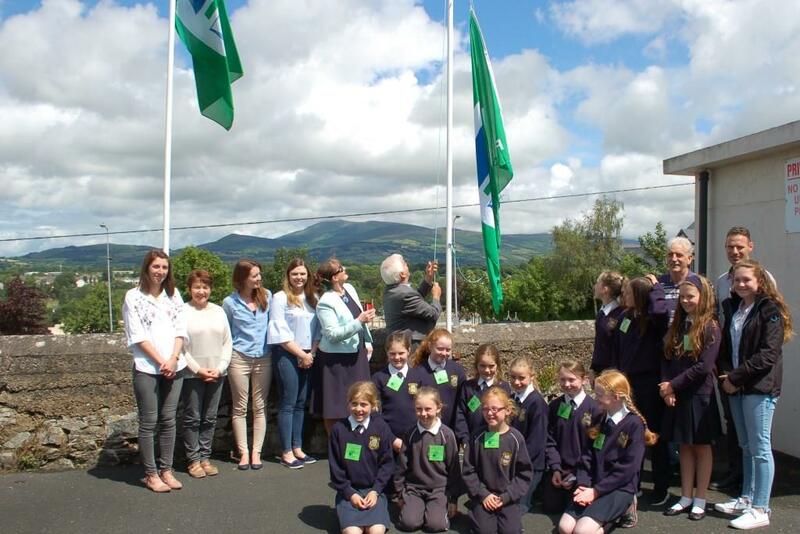 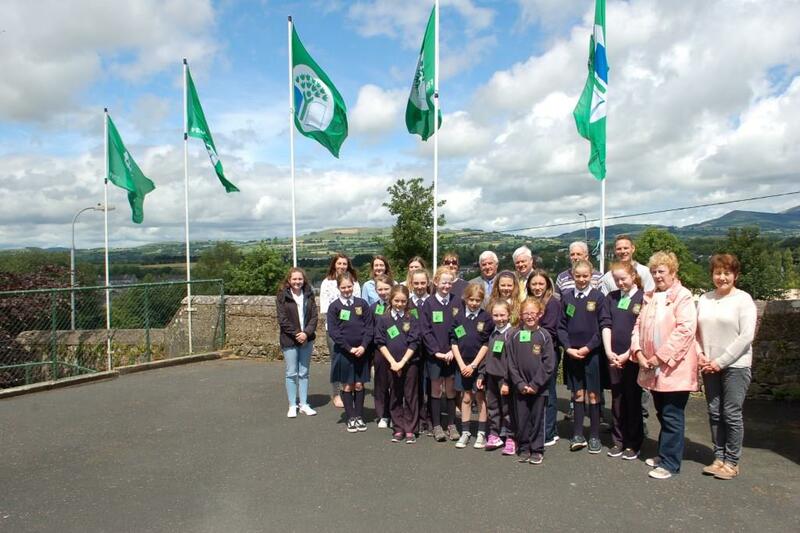 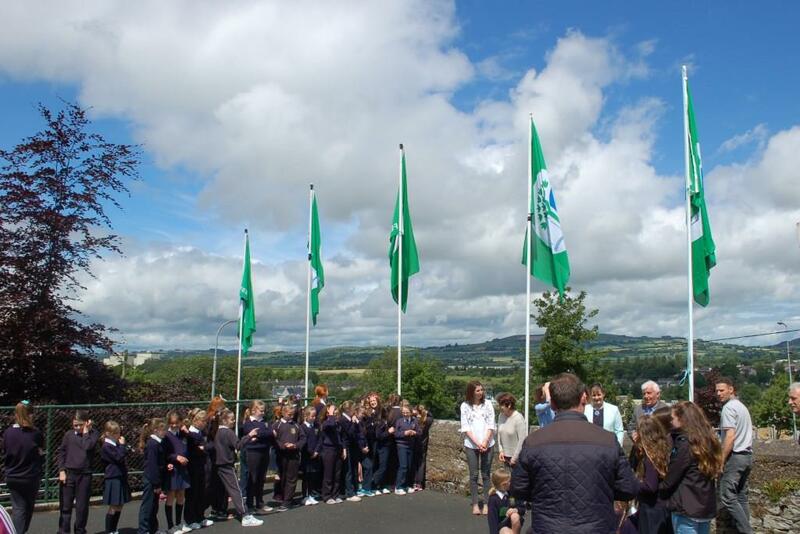 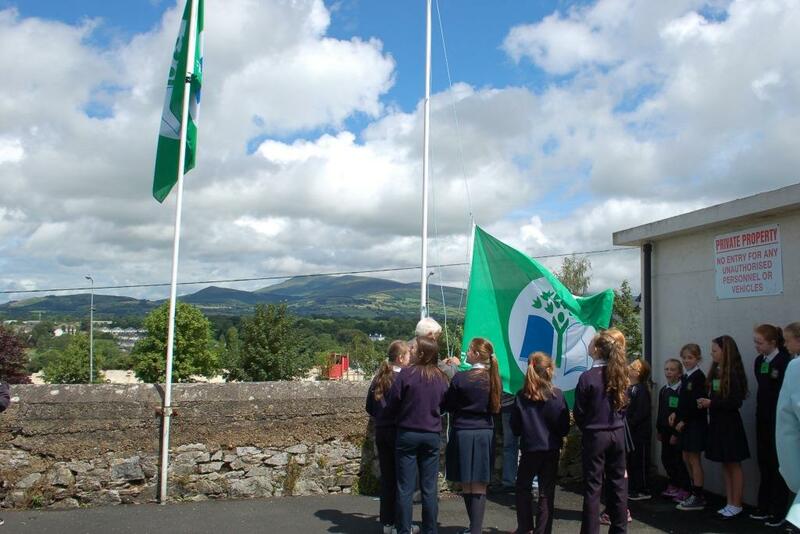 Today, June 27th was a very special occasion in Bunscoil na Toirbhirte as we proudly raised our fifth Green Flag outside the school, following our end-of-year school mass. 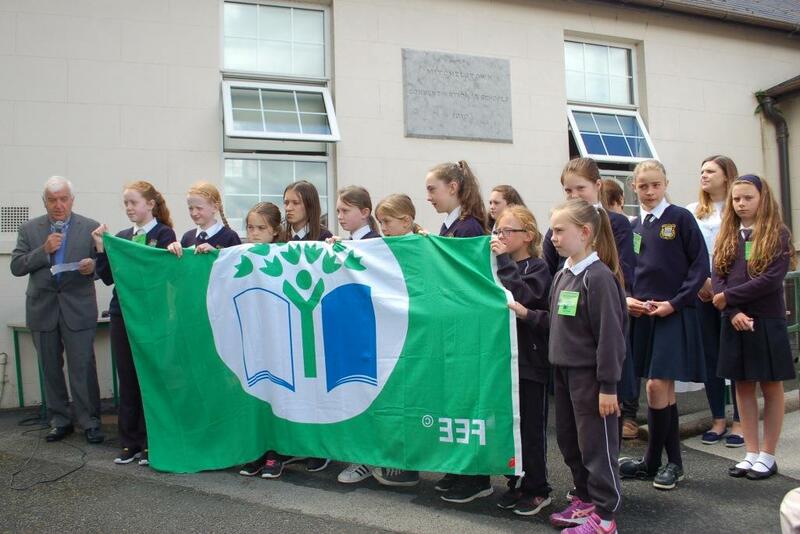 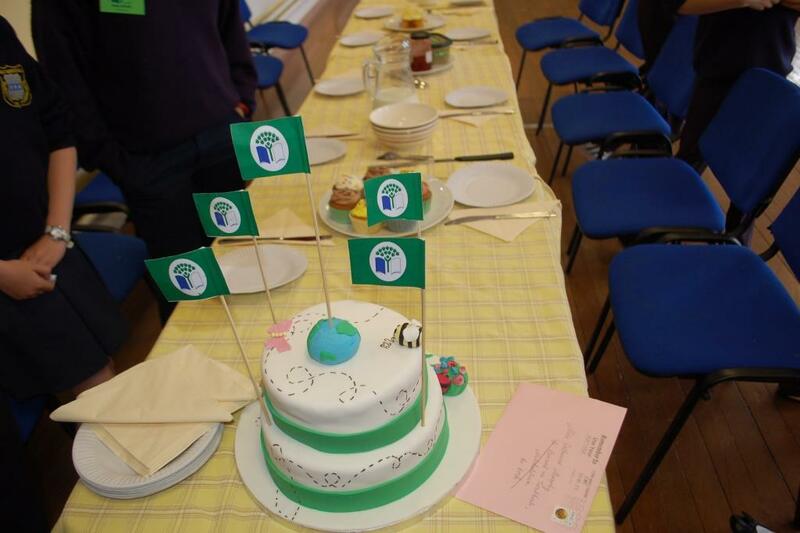 Our fifth Green Flag was awarded after a 2 year process where the school focused on developing the school's natural environment. Members of the Green School Committee, supported by Ms Horgan, Ms Hyland, Ms Condon and Ms Cahill worked enormously hard on the project and together created our wildflower garden, bunny burrow, hedgehog hideaway and our fabulous Bug Hotel. 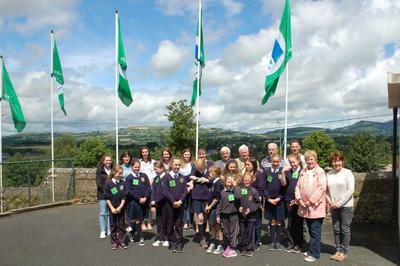 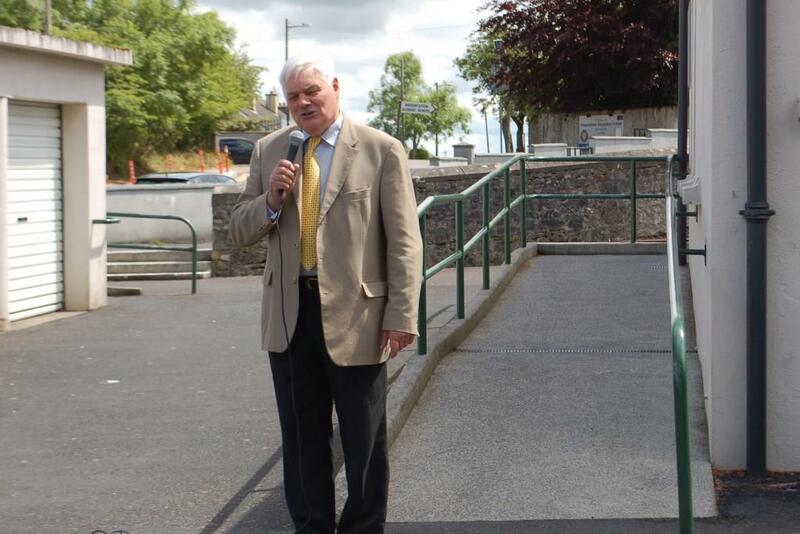 Seán Finn, friend of the school and former member of our Board of Management had the special task of raising the flag. 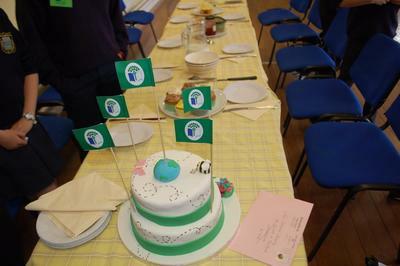 Well done to everyone on your hard work. 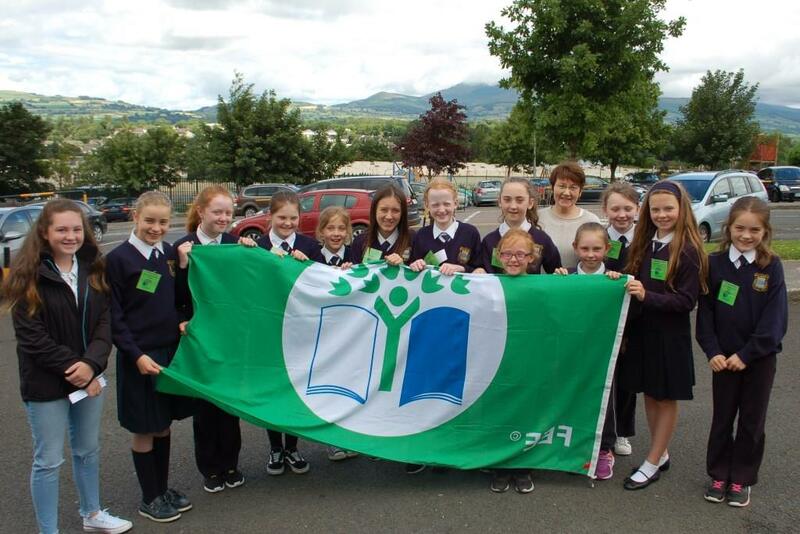 We are extremely proud of your achievements on behalf of the whole school community!! !